While living in China for a year, I visited Xi’an for 4 days. I liked it so much that I had to return one month later for another stay. Anyone who has heard of Xi’an probably knows it for its most famous attraction – the legendary terracotta warriors. An incredible world wonder, the warriors may be the main draw for travellers booking travel to Xi’an with China Holidays, but there is so much more to this city and region that can be overlooked. 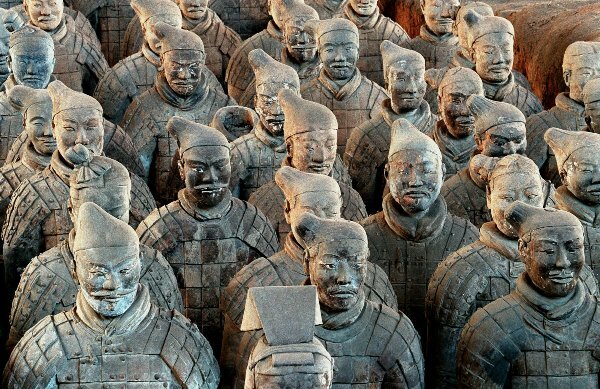 The warriors were discovered by peasants digging a well in the 1970s, but Xi’an was famous for centuries before then as the Chinese gateway to the Silk Road, and was previously the ancient capital of Chang’an, a city that rivalled Rome and Constantinople in size and scale. Myths and legends surround the city, and the Silk Road saw settlers from far off lands settle, reflected in Xi’an’s Muslim quarter. 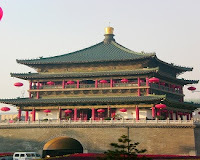 The Muslim quarter in Xi’an is a large area of streets lined with delicious food, fine silk and quality market stalls, centred around the Great Mosque. Walking around the Great Mosque is a serene experience, and it truly reflects the blend of Chinese and Islamic cultures in the city. On the surface the Mosque looks like a traditional Chinese temple, but on closer look you will spot Arabic script carved into the stones, Confucian cloisters are in fact rooms for foot-washing, and lines of worshippers queue up on hearing the call to prayer echo through the ancient lanes of the beautiful Muslim Quarter. The terracotta warriors are located half an hour from the city centre, on a complex featuring great exhibitions, restaurants and gift shops. To fully appreciate the warriors, try and read about their story before your visit, especially that of Qin Shihuang, the first emperor of China. There are three buildings housing the warriors, each one the size of an aircraft hangar. Before your eyes row upon row of non-identical warriors stand before you, guarding their Emperor over 2000 years after his death. The warriors have to be seen to be believed, and along with the Great Wall of China really are symbolic of what it is that makes China one of the world’s richest countries in culture. Xi’an is a fast-developing city, with the city centre a great mix of old and new. Traffic circles the ancient Bell Tower. Walk around it after sunset and watch thousands of swallows flitting around it, as it is lit up in golden lights. At the opposite end of the city is the Drum Tower. Climb these ancient structures for great views over the city. Standing on top of them, you can imagine the sounds that would resonate across the city from them, as they marked the beginning and end of curfew in ancient times. 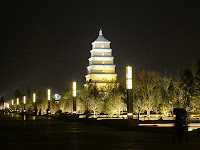 In the south-east of the city is the Wild Goose Pagoda area. 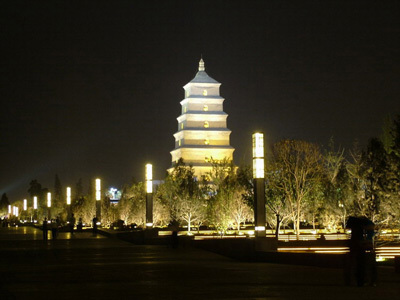 Centred around the impressive 7th century Wild Goose Pagoda, this part of the city is popular with students at the nearby universities. Take a stroll around the Pagoda and enjoy the delightful park, full of musicians, entertainers and stalls selling snacks and street food. For travellers interested in China’s 20th century history, the fascinating 8th Route Army Museum is tiny but packed full of interesting exhibitions. You can visit the quarters that Mao and the Communist Party stayed in and prepared for revolution in, along with an exhibition on Mr and Mrs Snow, an American couple famous in China as Mao’s contemporaries.